Have you ever had this experience? You’re doing work on a vehicle and come across additional work that needs to be done. Of course, you need to get approval from the customer to do the repairs. Easy enough, right? Not always. You call the customer, and it goes straight to voicemail (if they even have one set up). This can happen for many reasons. One common reason is that the customer might not recognize the number, so they “screen” the call and let it roll over into voicemail. Or, they may also be at work or somewhere else where they are not able to talk. You might try to send them an email, but they do not check it right away. There are many other scenarios that affect reaching your customer. Regardless of the scenario, you now have a vehicle tying up your repair bay. As we have all experienced, reaching customers when you need to get crucial answers quickly can be a constant challenge, but text messaging has allowed businesses to battle this issue. Text messaging has actually become so popular that it is now a primary communication method for many consumers today. 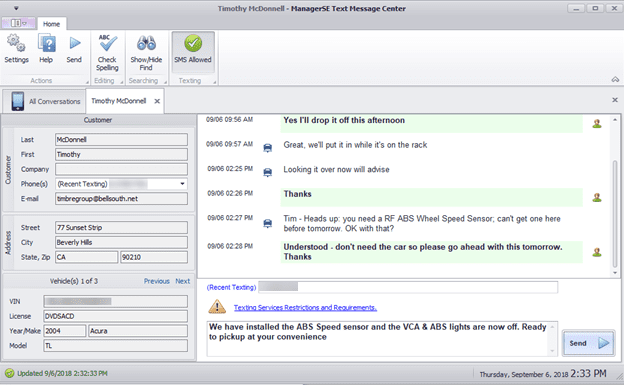 Because it is always our goal at Mitchell 1 to create auto shop solutions that speed up efficiency and make life in the shop a easier, we picked up on this trend and developed a text messaging feature, so you can get answers from your customers faster. 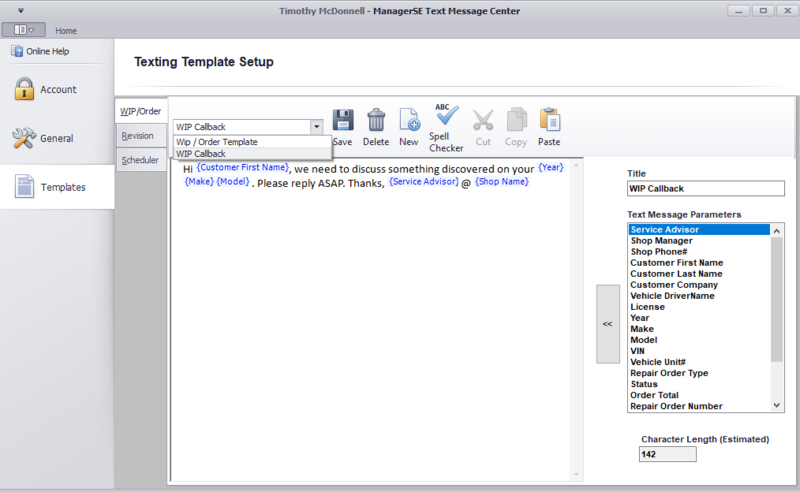 This new module is called MessageCenter, and it seamlessly adds integrated two-way texting from directly inside your Manager SE shop management system. Shops are provided with a dedicated texting phone number so you never have to leave the Manager SE program screens. And you have the choice of building your own text templates for orders, appointments and revisions or writing “on-the-fly” text messages to customers when needed. Here is the breakdown of the key features. Prev:Bringing Manager SE Training Right to Your Computer!